Fossil Free – San Francisco State University Divests from Coal and Tar Sands! 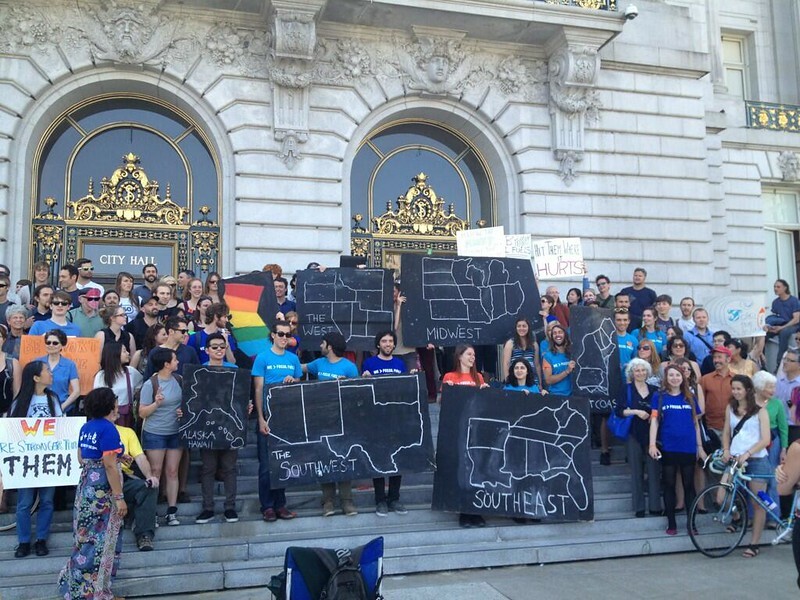 San Francisco State University Divests from Coal and Tar Sands! BIG NEWS! We found out today that San Francisco State University has become the first public university and first school on the west coast to divest from coal and tar sands as a first step towards full fossil fuel divestment. We’ll try and post more information soon, including from the INCREDIBLE student leaders who made this victory possible. For now, here’s a press release about the big announcement. San Francisco, CA — San Francisco State University (SFSU) became the first public university and first school on the west coast to commit to divest immediately from coal and tar sands companies and start a formal process to look at fully divesting from the fossil fuel industry. In addition, per a request by SFSU President Leslie Wong, the Foundation Board will convene a special committee comprised of Foundation directors to review the Foundation’s investment policy, identify all of the Foundation’s fossil fuel investments, and make recommendations for future changes to the Foundation’s investment policy in regards to divestment. SFSU is the sixth college or university in the United States to take a significant step towards fossil fuel divestment. Five East Coast colleges, Green Mountain, Hampshire, Sterling, Unity, and College of Atlantic have all committed to fully divest their endowments. Over 10 cities, including San Francisco, Berkeley, Richmond, and Santa Monica, California, have committed to some form of divestment. In San Francisco, the Board of Supervisors voted this April to urge the city’s Retirement Board to divest over $583 million of its $16 billion pension fund from the top 200 fossil fuel companies. A number of religious institutions, including the United Church of Christ in Massachusetts, the Evangelical Lutheran church in Portland, and a number of Unitarian Universalist churches from Utah to Massachusetts have also committed to divest. The Fossil Free divestment campaign has spread to over 300 colleges and universities and 100 cities, states, and religious institutions over the last six months. The campaign is a coalition effort led by 350.org, the Sierra Student Coalition, the Energy Action Coalition, the Sustainable Endowments Institute, the Responsible Endowments Coalition, and As You Sow.